JEXPO 2019 Application Form last date is 18 April 2019(Extended). WEBSCTE or West Bengal State Council Of Technical And Vocational Education & Skill Development is the statutory body. 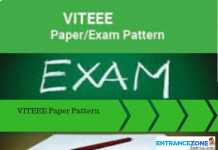 JEXPO & Voclet 2019 is a common Entrance Examination conducted at the State level. And, it is also popular as the Joint Entrance Examination for Polytechnic. It is also known as West Bengal Polytechnic. Further, students will be selected for the admissions in the first year of the Diploma courses offered by various polytechnic colleges in the West Bengal State. Every year Application form are released for admission into the first year classes of Diploma in Engineering & Technology through VOCLET. 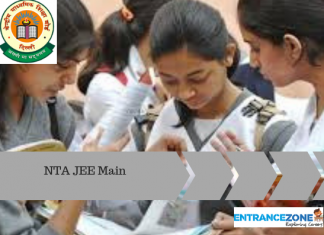 Given here are the complete details related to Admission to the First Year of Diploma in Engineering & Technology through JEXPO-2019 and Lateral Entry in Second Year of Diploma in Engineering & Technology through VOCLET-2019. JEXPO 2019 Application Form last date is 18 April 2019(Extended). The West Bengal State Council of Technical & Vocational Education and Skill Development (WEBSCTE) has published the Notification for JEXPO and VOCLET 2019. 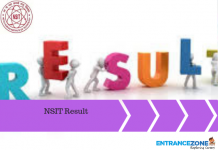 WBSCTE conducts JEXPO and VOCLET 2019 Entrance test for various Diploma courses in Government and not Government colleges. JEXPO 2019 is for admission into the First year of Diploma/Polytechnic course (Engineering and Technology). Whereas VOCLET 2019 is for the second year of Diploma Engineering and Technology courses in West Bengal. West Bengal State Council of Technology Education will release the examination dates. These are the official dates for Technical & Vocational Education and Skill Development. The West Bengal Polytechnic admission form filling process is given below. 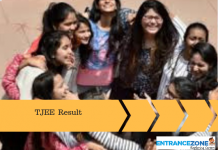 Firstly, The DTE West Bengal has released the Application Form on 29 January 2019. Then, candidates applying can reach out the JEXPO 2019 Application Form through both offline and online modes. Also, the OMR application along with Information Brochure will be available in all the Government, Government sponsored and self-financed Polytechnics affiliated to the WBSCT, VE, and SD. The government ITIs including PTP run Private and Government ITIs in West Bengal and one centre in Tripura. Then after the submission of the online application, the candidates need to take a printout of the application form. The Application form for JEXPO 2019 is available from 29 January 2019 at the official website for Admission to the Second Year Classes of Diploma in Engineering & Technology through VOCLET-2019. Applicants can also download the application form from the link here. Application deadline: The last date for online as well as OMR form submission is 06 March 2019. The application fee for the OMR application will be Rs.500/- for the Generals and Rs. 250/- for the Kanyashree Enrollees. The Online application fee for the General candidates would be Rs. 450/- and Rs. 250/- for the Kanyashree Enrollees. The West Bengal State Council of Technology Education decides the eligibility criteria and release along with other details in information brochure. The Candidate applying must be a citizen of India. Also, the candidate must have passed class 10th or an examination equivalent, with English, Physical Science/Science and Mathematics from any Government Recognised Board. Most importantly the candidates should have scored a minimum 35% aggregate in the qualifying exam without any additional subjects. Also, there is no upper age limit, but the age of the candidate should not be after 01 July 2002. Moreover, the appearing students can apply again. Details of Reservation for Scheduled Caste and Scheduled Tribe respectively for the Government & Govt. Sponsored Polytechnics is given in Information Brochure attached below. 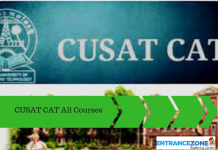 Statistics – Mean, Median, Ogive, Mode and Numerical Aptitude. ● Organic Chemistry and General Awareness. ● Sequence And Series: A.P., G.P. ● Simple properties of parabola, ellipse, hyperbola. ● Integral calculus: Integration by substitution, by parts. ● Differential equation: solution of differential equation of First-order Solution of homogeneous differential equation of First order and First degree. ● Motion in a straight line; definitions, Graphical analysis. Equations of motions. ● Pascal’s law and its application. ● Periodicity in Properties: present form of periodic table, S – block and P – block elements. Periodic trend. ● Chemical Bonding And Molecular Structure – Hybridisation involving s and p orbitals and shapes of some simple molecules. ● Second Law of Thermodynamics. Significance of the relationŸG = ŸH – T ŸS. ● Preparation And Uses of Sodium carbonate, sodium hydroxide, calcium oxide, bleaching powder, borax, limestone. ● Simple Lifting Machines: Definition of common terms, Study of Simple machines. ● Centre of Gravity: Concept & definition, Formulae for centroids of simple areas. All the questions in the paper will in MCQ form. Candidates will have to answer the Questions on the OMR sheet with blue/black ball point pen. The duration of exam will be 2.00 hours each. The candidates can download the Hall ticket from the official website one or two weeks prior to the examination. Admit card will be available from 03 April 2019. After downloading the admit card, check the particulars such as Name, Roll number, Address, Exam etc. carefully. In case of any mistake in the admit card, report the same within the specified time limit. Candidates must bring the admit card on the day of examination. Without it candidates will not be allowed to enter the Examination hall. The Authority will announce the JEXPO VOCLET 2019 result on 03 June 2019. Candidates can download their result online from the official website. Qualified candidates will have to appear for the Counselling session. Admission of candidates will be done through the Counselling process. Qualified candidates will be called for the Counselling session along with the Important Documents to be verified i.e, Birth certificate, Educational certificates & Caste certificates etc. Candidates failing to produce these documents at the time of Counselling will have to face the cancellation of candidature. As per the West Bengal State Council of Technical & Vocational Education and Skill Development official website, there are 144 Diploma / Polytechnic colleges listed under various category i.e Private, Government, Government Sponsored. Candidates covered under the Kanyashree scheme will get 50% fee waiver in Registration/ Counselling and Admission. And, also candidates will get Accommodation in Hostel. The detailed College wise / Branch wise list along with the number of intakes (seats) is given below in PDF. All Institute Branch Combinations West Bengal Polytechnic. WEST BENGAL STATE COUNCIL OF TECHNICAL & VOCATIONAL EDUCATION AND SKILL DEVELOPMENT (Erstwhile West Bengal State Council of Technical Education) A Statutory Body under Government of West Bengal Act XXVI of 2013. The official website for WEBSCTE is www.webscte.co.in. The information brochure is released by West Bengal SCTE and available. Candidates can download HERE. Download JEXPO 2019 Information Brochure Here. Download VOCLET 2019 Information Brochure Here. Finally, for more updates and information related to 2019 admit card & JEXPO 2019, stay tuned with EntranceZone.